Five Things Friday: Clock Ideas | Keeps Me Out Of Mischief! I never wear a watch, I just constantly look at my phone to find out what time it is when I’m out and about. However, I love a clock on the wall. Maybe it’s the mathematician in me, but I love the movement , the shape, the routine – what a geek! Here’s my favourite five homemade clock ideas to inspire you. 1. A Heart For A Home has this idea for a canvas clock – the phrase would certainly be appropriate for one person in our house! 2. 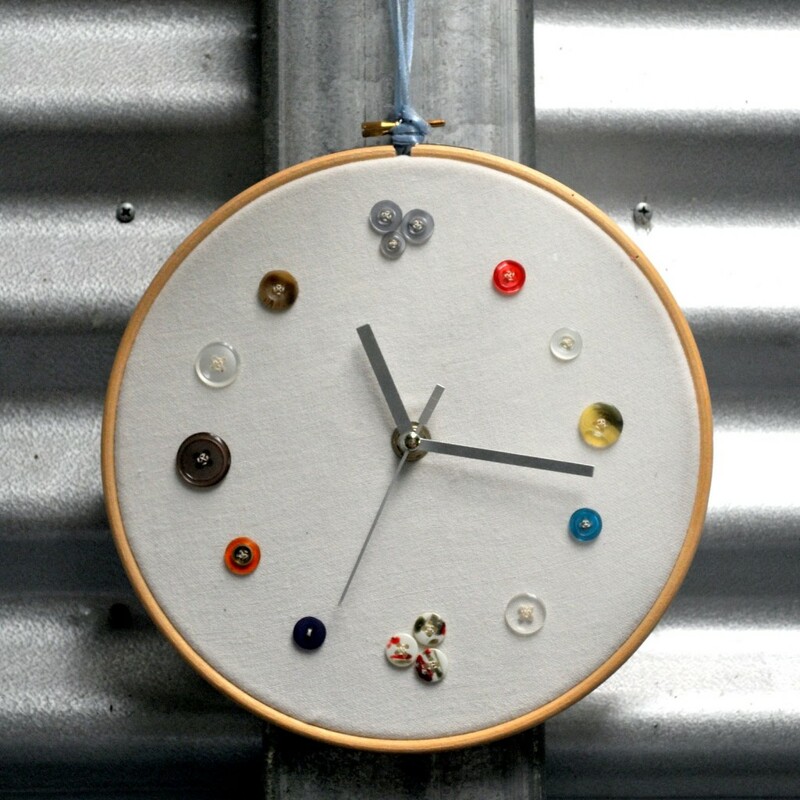 Epheriall Designs has his idea for a clock made from a sewing hoop. It would be a great way of displaying some vintage buttons. 3. Apartment Therapy has this idea for a picture frame clock – You could choose a theme to match your decor. 4, Home Savvy A to Z has this idea for a really cheap clock – I love a Post-it note! 5. I love this idea using alarm clocks from Sarah Wandering. So simple but so effective.